Happy Monday. If Monday is not your favorite day of the week, then I offer you a wonderful bouquet of flowers Inkido style just to cheer you. 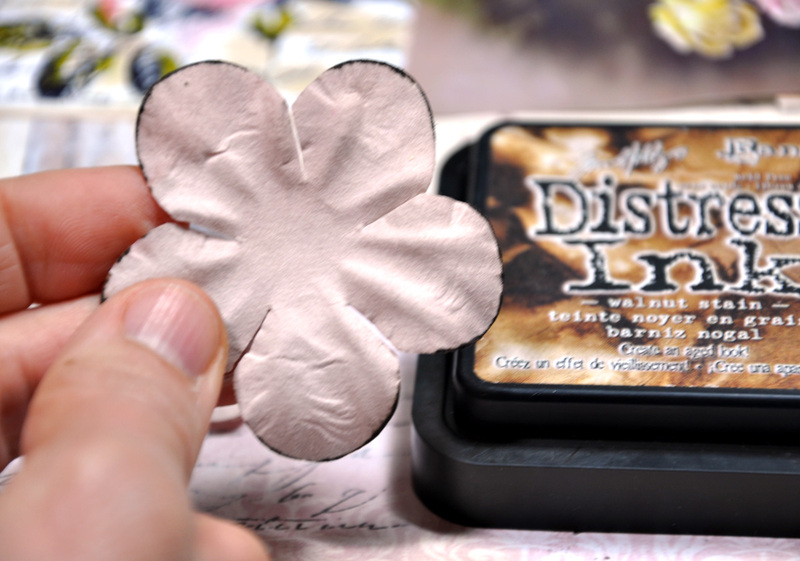 Today I want to show you the wonderful stamp I received in addition to the gorgeous papers and embellishments. This is Vintage Rose Garden. 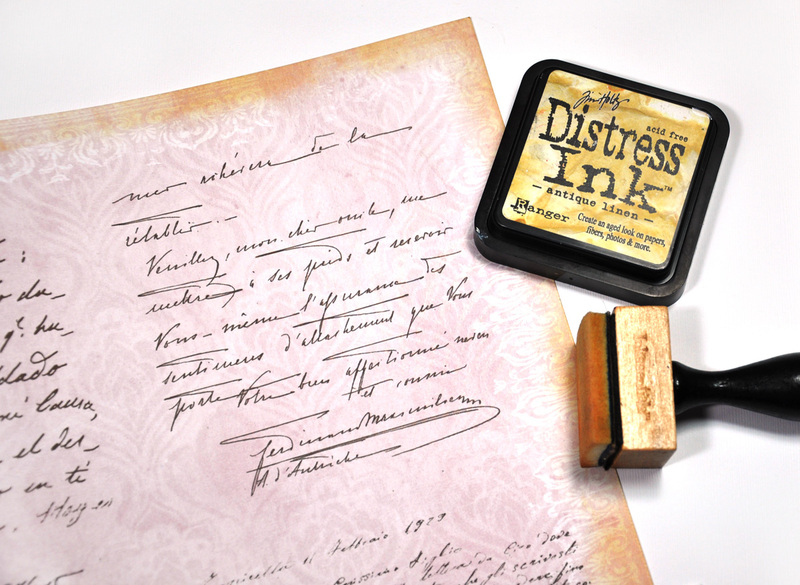 I received the most wonderful Inkido stamps in the mail and had to make them the focus of this project. 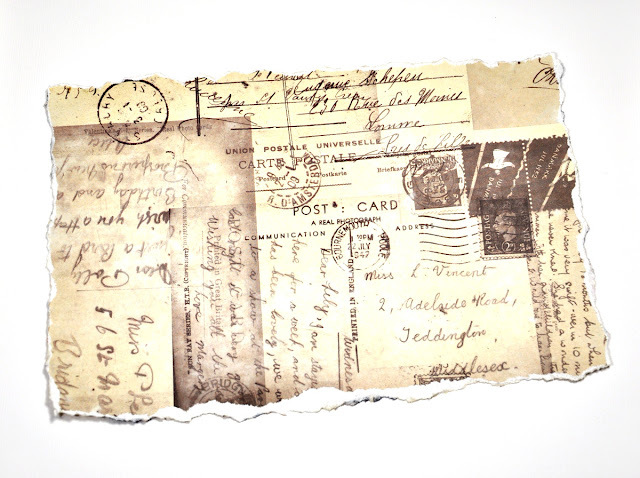 Gosh I love stamps and the Inkido stamps are magnificent. 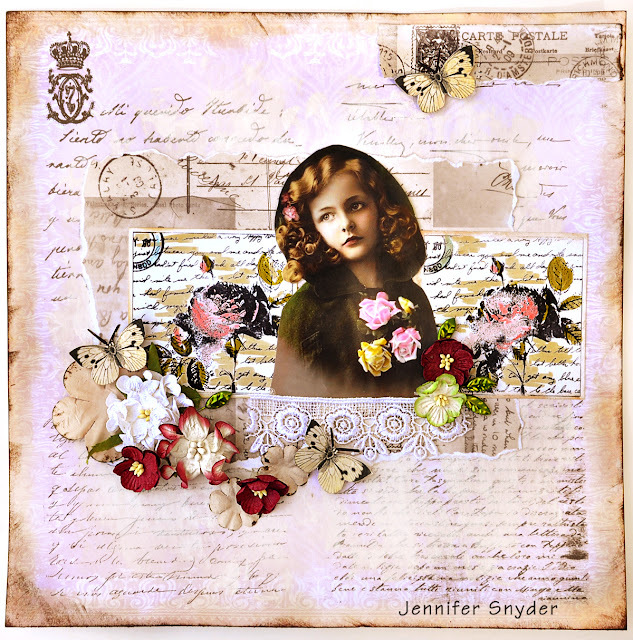 My wonderful image is from Magic Moonlight Free Images. Here are some of the Inkido products I used and a little tutorial to follow. Step 1. To create my vintage feel and look, I need to ink the edges of my background paper. 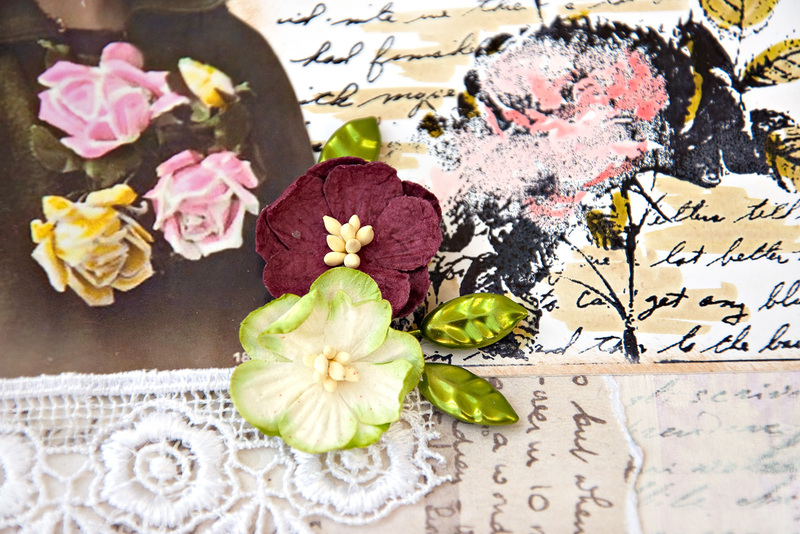 I used Tim Holtz Antique Linen on the edges. Step 2. 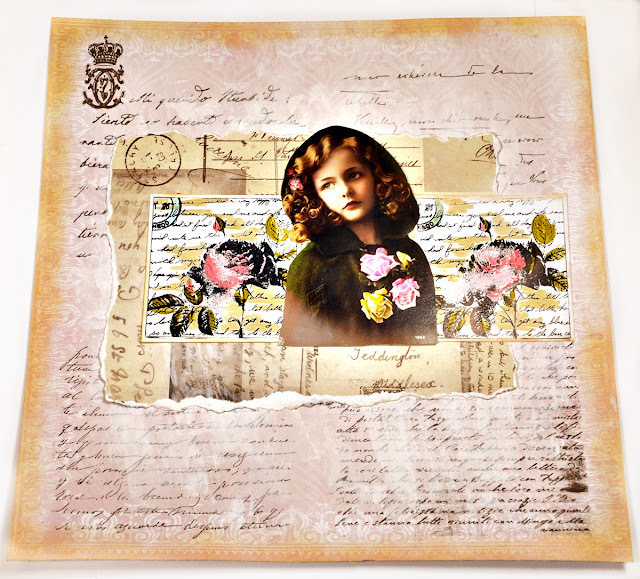 I want to tone down the background paper a little so that my photo image and stamped images are more noticeable. I use a sponge brush and paint little gesso lightly over my page. I actually do this often when my background paper is "busier" than I prefer or than I need. Step 3. 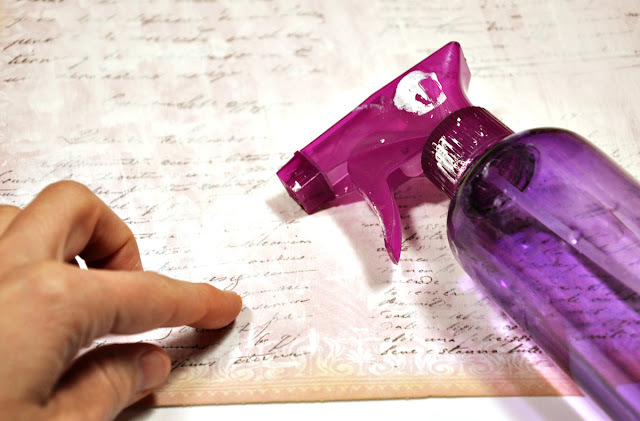 If my gesso is heavy or I applied too much, I will thin out by spraying some water right onto the page. Then use my fingertips in a circular fashion to blend in and thin the gesso. 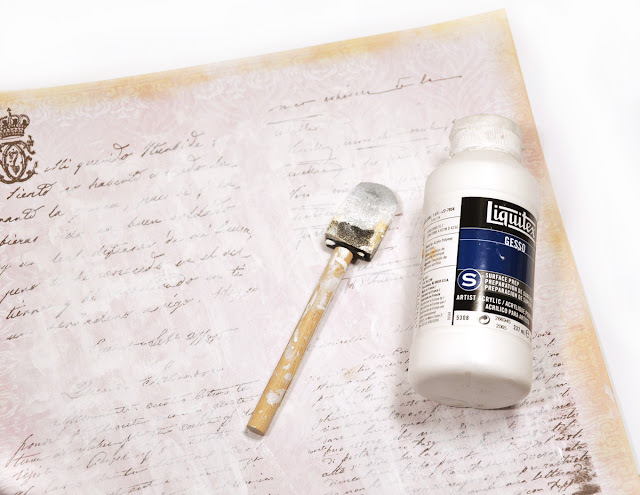 This technique also takes away any harsh lines created by the gesso - makes then soft and blended. Step 4. 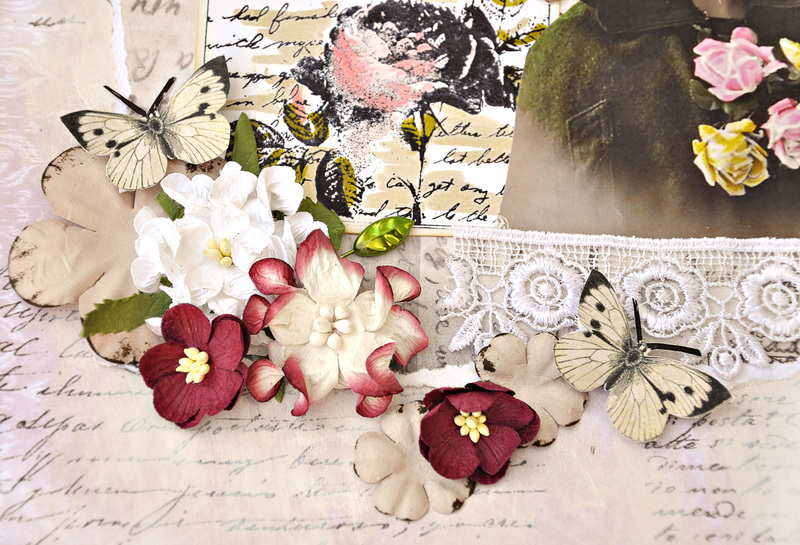 Rip a piece of Beautiful Memories Butterfly Border paper as a photo matte. Step 5. 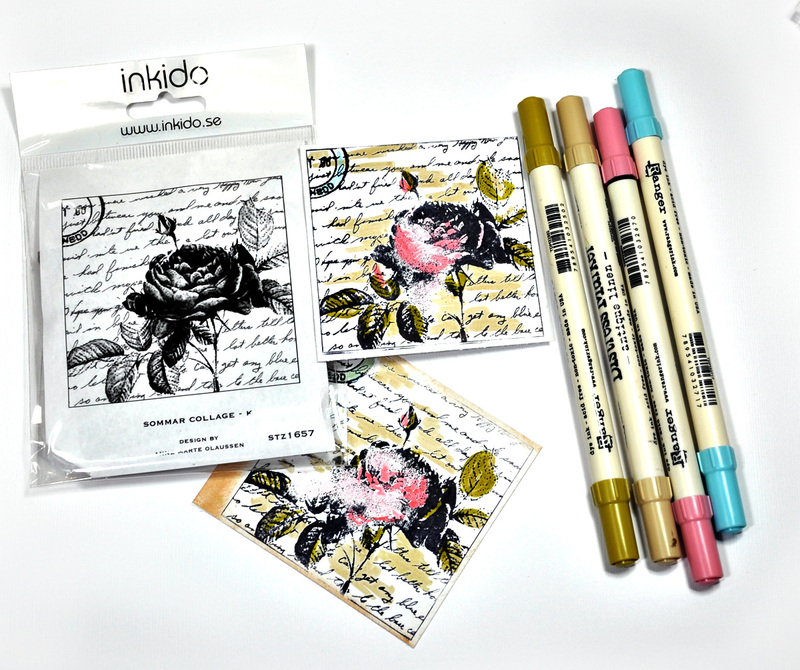 Now to have fun with the Inkido stamps. I stamped the Summar Collage K stamp onto cardstock and then colored with Distress markers - that's what I have available. Step 6. Start building your layers and gluing them down. Step 7. Ink the edges of the paper flowers to give them some definition and make them look a little more aged. Step 8. 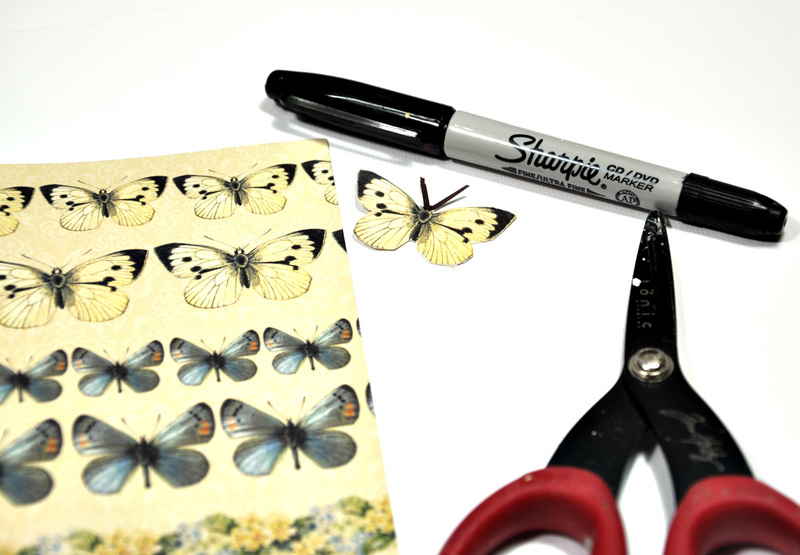 Cut out some butterflies from the Beautiful Memories Butterfly Border paper. As you are cutting, make sure to cut some butterfly antennas. I will color my antennas in with a black marker. Step 9. Complete with your favorite Inkido laces, trims, flowers , leaves, and decorative pins. You can see the adorable little leaf pins in the following two photos that help complete my Inkido flower cluster. Thanks a million for looking. Stop by the Inkido blog to see how the other Design team members are using Inkido products.